Ilex verticillata fruit.M. B. Gargiullo (ca 2010). Ilex verticillata is a shrub to 5 m tall, sexes separate, twigs and bark gray with pale speckles. Leaves alternate, to 9 cm long 2 cm wide, deciduous, elliptic, margin toothed, surface dull, wrinkled; leaves expand mid-May; winter plant leafless 107 days (Britton 1874). Flowers small, white, regular, 4-8 parted, sepals hair-fringed (ciliate), June. Fruit fleshy, red, 0.7 cm wide, pulp yellow, 3-4 seeds; Oct.-Nov., persistent into winter, available to winter resident birds. Fruit eaten and seeds dispersed by many birds, also eaten by mammals including raccoons, coyotes, opossums and foxes (Martin et al 1951; Wilson 1993; Gargiullo personal observation). Seed load 14%. Pulp nutrients: water 77%, lipid 4%, protein 3%, CHO 43% (White 1989); contains saponins and phenolics, calcium oxalate crystals, higher in carbohydrates than I. opaca (Gargiullo and Stiles, 1991, 1993). Habitat: Undisturbed swamp forests, marshes, stream margins and wet meadows, also planted in restoration projects. Fairly shade tolerant. Also found in freshwater tidal marshes, shrub swamps, swamp forest, flood plain forests, mostly in acid soil, pH 4.5-7.5 (USDA, NRCS 2010). Tolerant of flooding or saturated soil for up to 25% of growing season; soil compaction. Moderately tolerant of drought, shade. Intolerant of salt (Hightshoe 1988). 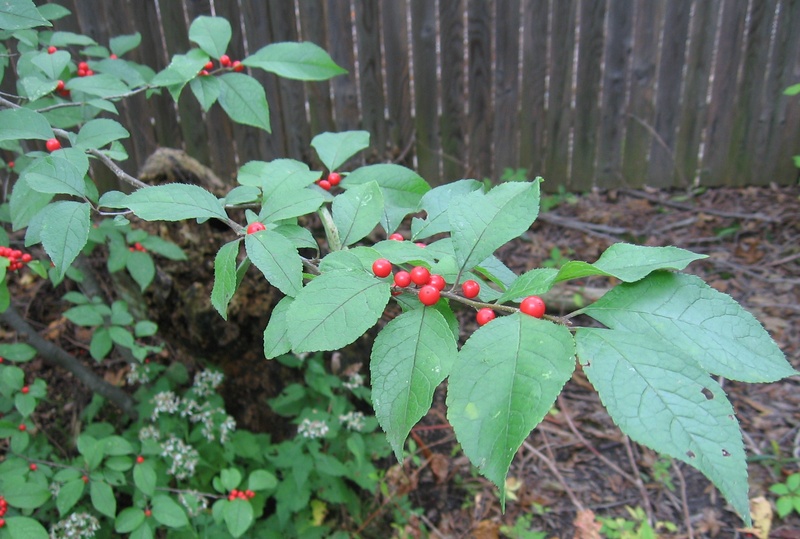 Notes: Ilex laevigata is found in similar habitats but sepals are 6-8 parted, not hair-fringed.